The amount of fine work that goes into crafting a proprietary Android UI will never cease to amaze us. With literally every Android manufacturer's custom layout, you can expect not just different sets of functionality, but different approaches to the same common tasks. And few things are as common as you having to dial somebody. Calls are the foundation on which the smartphones of today are built on, yet, somehow, phone makers often mess this one up — sometimes significantly. Whether it's their disorganized look, non-intuitive controls (or lack of), or some other gripe, it's fair to say that getting the app with the little green (or blue!) phone icon right isn't that simple. One of our biggest complaints, for example, is some Android UIs' insistence on always defaulting to the dial tab, regardless of where you left off. That's a peculiar (to put it nicely) decision on the part of phone vendors, for we're far past remembering individual numbers, let alone to a dozen of our contacts. Worse yet, in most cases, it's a select few people we spend most of our time talking to over the phone. So defaulting to the dailer page (raise hands if your phone does this) isn't really a smart idea, but thankfully, there's something you can do to speed up the process and avoid having to switch to another tab and then hunt down the person you're looking to give a mouthful to. It's what we call T9-style dialing, and it's okay if you've never heard of it. It has, after all, been a long time since was last talked about T9 keyboards. Alright, so as you can imagine, the first step is actually launching the Dialer app. It'll help if you know who you'd like to call, too. As promised, Xiaomi's MIUI Dialer app automatically defaults to the dialer pane, though mainstream brands' respective apps do the same, too. So I've decided that I want to call my colleague Peter to ask him if he wants to grab some beers. Typically, I'd have to swipe to the next pane and dig him out of my contacts list, which is only made worse by the fact that he's not on my favorite contacts roll (sorry, Peter). Using the T9-style virtual keyboard, however, I can skip the digging part and call him right way. This method is available on virtually all Android devices. What you want to do is use the letters underneath each number (1-9), trying to construct the name of the contact. In this case, I'm going for 7-3-8 for 'Pet...', which the Dialer instantly understands and serve to me. The app also served me any other matches starting with these three letters. From here on now, I just need to call. This may seem needlessly complex if you're not used to T9 keypads, but it actually grows on you extremely fast (you'll have to trust us). We know, it may seem like having to remember which letters are assigned to which number is hard work, but it makes intuitive sense real quick. Before long, you'll find that you're dialing that way constantly. 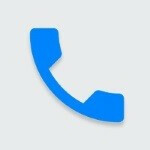 Extra tip: Double tap on the green call button on any Android phone, and you'll dial your last contact. There's actually no step #3. You just press on the contact and your phone will do the rest. This may seem like a pretty tiny — even questionable — boost to your quality of life, but give yourself the opportunity to get used to this, and you may just change the way you dial after a few days. We certainly did. This has been around for ever. I remember this on the original Droid, HTC Incredible, Galaxy S 1. How is this new? Sick of Xiaomi always copying Apple. Proves that Apple is the king of smartphones! I agree with you Apple is the king of smartphones. but Xiaomi can show us the most cheapest price. it's very hard for us to distinguish who copy from who. Apple copied almost everything with the iphone, because apple as not the first with a smartphone! Multi account already? Lol Man, bobbybuster really has nothing smarter to do in his life. BLAH! that avatar is going to give me nightmares. I'm sick of Apple copying Google and other Android OEMs. So what did Peter say ? Is he coming ? This feature is called smart dialling and manufacturers have been integrating it for a long time while android got it natively in android 4.3. I think smart dial is a very old feature and it was introduced in phones even before Android cameout. You should also note that if you have contacts in 2 different languages then you should download a 3rd party dialer app that can handle both language letters on its T-9 .